Just recently we have had a lot of enquiries from small businesses for key safes, because most small businesses in light industrial areas are easy targets of the weekend criminal. Most industrial areas are isolated, where people tend not to be around out of normal working hours, unlike suburbia where there is a constant ebb and flow of people moving around at all hours of the day and night. What these new age of thieves are targeting are things like vehicle keys, very expensive and inconvenient to relace, the cost to rekey a modern car or van can be as much a $2000.00, not to mention that if this is not done when keys have been taken and you choose to use the spare keys if you still have them, some day one of your prized vehicles may just go missing. So installing a safe of some description, not necessarily one of Guardall’s key safes is a very important thing to do. 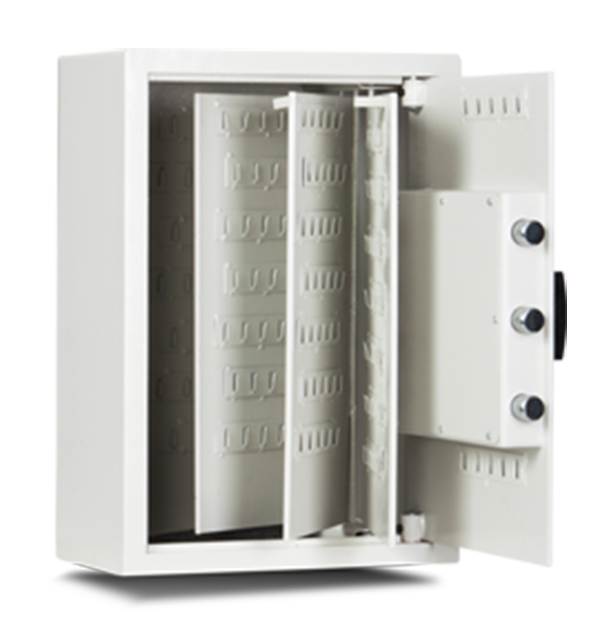 Key safes come in many forms, the average size small business that only has a small fleet of vehicles would only need one of our GS35E key safes and at only $525.00 off the shelf, makes this a truly prudent purchase. Bear in in mind it must be securely fitted, and with an easy to use digital keypad you can make sure anyone using a company vehicle can secure the keys at the end of every shift. Guardall can also arrange delivery and installation if your business is no able to collect and install. Guardall key safes can save not only money but a huge amount of time and inconvenience, making a destination for the storage for all of your fleet keys so whenever someone needs a vehicle the keys are always at hand. Don’ forget we have a range of key safes for any business size, from the smallest 25 key safes to units that will accommodate up to 500 keys.